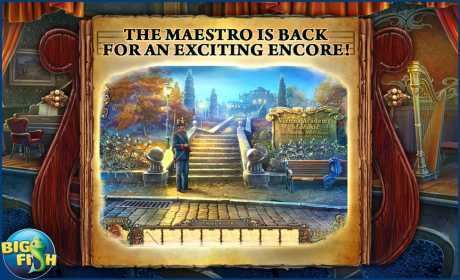 • THE MAESTRO IS BACK FOR AN EXCITING ENCORE! Two talented students have disappeared from the academy and ghostly shadows are now threatening the nearby town. Embark on an elaborate adventure full of twists, turns, strange puzzles, and stranger characters. 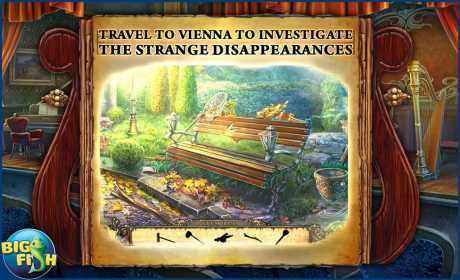 Search for clues within beautifully illustrated hidden object scenes. 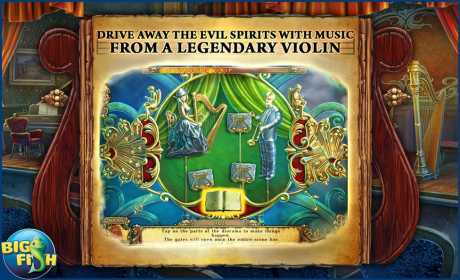 Just before he succumbs to one of the shadows, a music professor tells you that a melody played on the Maestro’s violin will drive away the spirits. Hunt for all the collectibles throughout your adventure and into the bonus chapter. Enjoy exclusive extras such as wallpapers, concept art, and re-playable cut scenes and mini-games!